Orbital Corporation Limited (“Orbital”) is pleased to announce that Insitu Inc. (“Insitu”), a subsidiary of The Boeing Company (“Boeing”), have chosen Orbital as the preferred supplier of engines and propulsion systems for the new generation ScanEagle Unmanned Aerial Vehicle “UAV”. Orbital and Insitu have commenced negotiations on a Production Contract for the commercial supply of the new Orbital UAV engine and propulsion system for Insitu’s new generation ScanEagle UAV. Negotiation of the commercial Production Contract follows validation of the design and development phase of Orbital’s engagement with Insitu. Orbital will now move to establish a full-scale production capability for UAV engines. Initial orders received from Insitu are expected to be manufactured at Orbital’s world-class engineering and workshop facilities in Balcatta, Western Australia pending the establishment of a new higher volume production facility expected to be located in or near Washington in the United States. ScanEagle is one of the most widely recognised light reconnaissance UAVs in use globally, and after more than 10 years in operation, is currently used by more than 20 countries. Orbital has been working with Boeing and Insitu since January 2013 as part of an initial design, development and validation contract to supply a new engine and propulsion system for the ScanEagle UAV program. Orbital’s UAV engine was designed and developed as part of a propulsion system designed and developed by Orbital and Insitu for ScanEagle. The system features a number of significant improvements, including the “Argon” engine control unit, which weighs less than 150 gms and drives the highest level of performance for heavy fuel engine applications in this class of aircraft. The new engine has exhaust systems designed to minimise heat and noise signature, and is installed with compact fuel and oil tank modules that simplify the assembly of the UAV and allow easy in-field servicing. Orbital and Insitu are confident the new engine and propulsion system will increase ScanEagle’s mission reliability while reducing life-cycle costs. Orbital’s UAV engine is the first reciprocating internal combustion propulsion system to be engineered from the ground up specifically for UAV applications. The new technology delivers advancements not available on other aircraft in the same class, including real-time monitoring and diagnostics of all critical systems, sensor and actuator redundancy, and extensive “black box” recording capability. The original ScanEagle UAV was designed to carry either an electro-optic or an infrared camera in a gyro-stabilized turret. The camera has full pan, tilt and zoom capabilities and allows the operator to track both stationary and moving targets. ScanEagle vehicles can operate individually or in groups, and loiter over a target area for more than 24 hours. The 5-foot-long (1.5-metre-long) ScanEagle UAV has a 10-foot (3-metre) wingspan and can operate in high winds. Its internal avionics bay allows integration of new payloads and sensors and ensures the vehicle will be able to incorporate new technology as it becomes available. ScanEagle is launched autonomously by a catapult launcher and flies preprogramed or operator-initiated missions. A patented SkyHook system is used for retrieval. ScanEagle has flown more than 800,000 combat flight-hours, and has been successfully deployed in both military and commercial applications for a diverse range of customers including the U.S. Coast Guard, the National Oceanic and Atmospheric Administration, and the military forces of the United States, Australia, Canada, Italy, Japan, the Netherlands, Singapore, Spain and the United Kingdom. Civilian uses have included disaster relief support, bushfire monitoring and a weed detection program in Australia, an ice seal census in the Bering Sea, and conducting aerial flood plan research along the North Dakota and Minnesota border. According to Insitu, the largest ScanEagle customer has been the United States Navy, who uses ScanEagle to provide intelligence, surveillance and reconnaissance coverage including support for Navy high-speed vessels and afloat forwardstaging bases. Insitu’s revolutionary ScanEagle platform is the focus of Orbital’s development of a UAV-focused engine business. Insitu’s confirmation of Orbital’s preferred supplier status for ScanEagle is a major step for Orbital and will allow the Company to advance the strategic plan for Orbital’s UAV engine business. Orbital is currently engaged with production-intent suppliers, gathering necessary feedback to support the development of a long-term engine supply contract with Insitu. ScanEagle is a high value UAV system, with a complete system comprising four air vehicles, a ground control station, remote video terminal, a launch system and a SkyHook recovery system. It is not uncommon for each system to also include spare engines and propulsion systems. 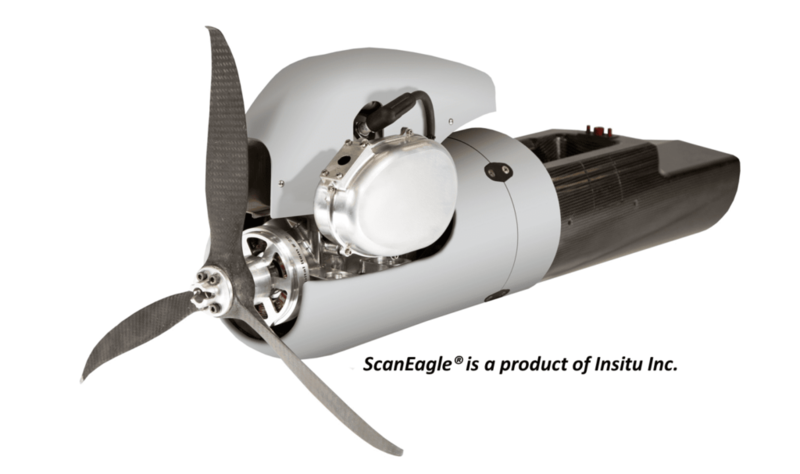 The wide acceptance of ScanEagle as a leader in its class creates a significant opportunity for Orbital to build a high revenue business producing and supplying a high volume of Orbital UAV engines to Insitu and their growing global customer base. Mr Ryan M. Hartman, President and CEO of Insitu, said “Insitu is proud to partner with Orbital to bring our customers increased mission reliability and capability with more affordable life cycle costs. Orbital is the leading small unmanned aircraft vehicle (SUAV) reciprocating internal combustion engine supplier in the industry, and the Orbital-designed engine sets a new standard for unmanned aircraft propulsion”. Orbital’s CEO and Managing Director, Mr Terry Stinson, stated “Orbital is delighted to be moving into full scale production of our UAV engine. The Company has made a major investment in the design and development of innovative advanced technology engine products and the success of our UAV engine, and the support of Insitu, will deliver on the Company’s long held ambition to be a manufacturer of a world class best-of-breed engine”.